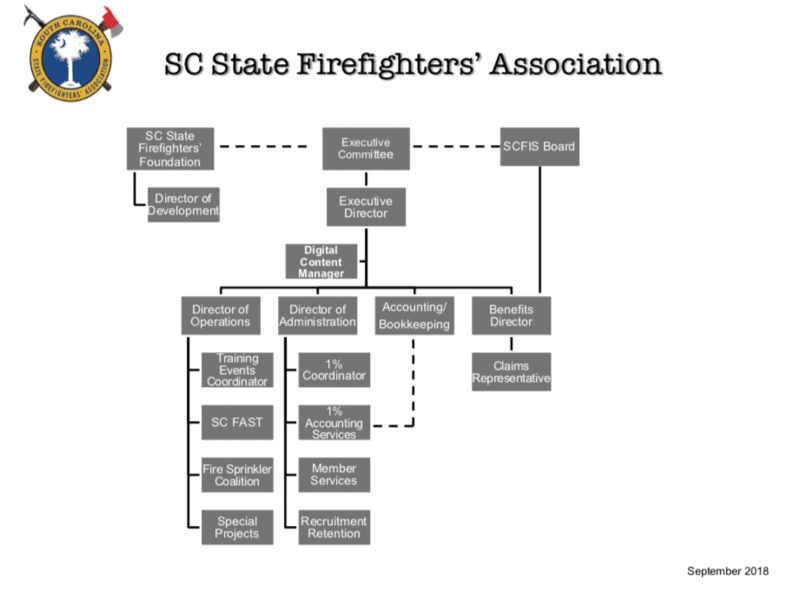 SCFIS is an Insurance Agency chartered by the SC State Firefighters’ Association to assist and obtain better opportunities to the SC Fire Service. The Executive Committee formed SCFIS in 2005 as a benefits division of the SCSFA. We are governed by a five member Board of Directors. Our Agency is housed inside the SCSFA’s home office in Columbia, SC. Our Mission is to provide leading coverage to SC fire departments and their members. We are committed to being responsive to our client’s total insurance needs. Our goal is to continually provide superior customer service. Whether it is assisting a department or handling a claim, you will experience this superior customer service from each member of our staff. Let us assist in your insurance needs. The South Carolina State Firefighters’ Association assists in retirement planning for career and volunteer firefighters accross the state. This planning includes investments of Firemen’s Insurance and Inspection Fund (1%) funds from fire departments. Toledano and Associates manages the retirement program and CCM Investment Management Group is the investment firm for the account. For questions about participant balances, fund changes, withdrawals, etc. For questions about investment strategy, performance, etc. If you have any insurance or benefits questions or would like to schedule a benefits presentation at your fire department, please contact Zorrina Harmon or Marcia Greer.